Little feet little brains | Mother of the Year... AGAIN! 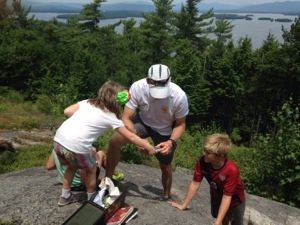 Shea talks nonstop on our hikes, even at the geocache we found today. Everything has a story. Today she told me that it was amazing her little feet could make her big body walk so much and the she went into the proportions of everyone in the family. She also told me that flies have little brains and so they can’t be very smart. I am sure there is so much more I am going to learn on the hike.